This printable Birthday Boarding Pass Gift Ticket is perfect for a surprise birthday flight, trip, getaway or holiday for your partner/friend/family member. Download your printable Birthday Boarding Pass Gift Ticket immediately after your payment has been processed. 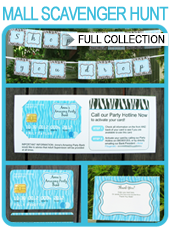 Cut out each printable Birthday Boarding Pass Gift Ticket on the provided cut lines.